The original riotous rhyme, now with FREE bonus activities. It’s a steal! 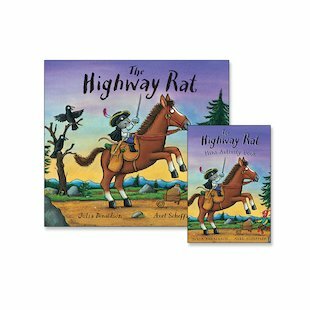 The Highway Rat is a reckless rodent with a bad habit of pinching treats. He’ll grab your chocolate éclairs and your buns and your sweets. Plus, he might just steal your heart! But now this naughty hero has turned over a new leaf, and he wants to share some extra-special treats with YOU. Read his classic rhyme – then have fun with spotting games, activities, puzzles and colouring. Heaps of lovely loot!